The first volume of the highly influential, downright legendary Love and Rockets comic provides the foundation for a very entertaining expanded universe. A colorful cast of characters is rendered in crisp black and white. Some lead ordinary lives, others more fantastical, but they all seem to intersect in inventive, humorous, and moving ways. 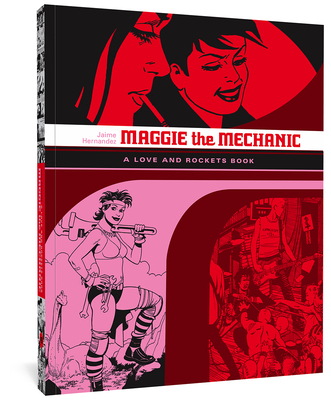 The 25th anniversary Love and Rockets celebration continues with this, the first of three volumes collecting the adventures of the spunky Maggie, her annoying best friend and sometimes lover Hopey, and their circle of friends, including their bombshell friend Penny Century. This book collects the earliest, punkiest, most heavily sci-fi stories.